Birth*: Joshua Bailey Skittletharpe was born in December 1827 at NC. He was the son of Thomas Skittlethorp and Zarah Jones. Death*: He died circa July 1905 at Beaufort Co., NC. Birth*: Juanita "Nita" Skittletharpe was born on 10 April 1901 at Beaufort Co., NC. Death*: Juanita "Nita" Skittletharpe died on 7 July 2000 at Winston-Salem, Forsyth Co., NC, at age 99 . She was the daughter of Joseph Jay Skittletharpe and Cornelia Frances Mizell. He was the son of Joseph Edward "Jody" Skittletharpe and Annie Chambers. Birth*: Luther Lee Skittletharpe was born circa 1876 at Beaufort Co., NC. [S2231] Raleigh Christian Advocate, 7 June 1882. 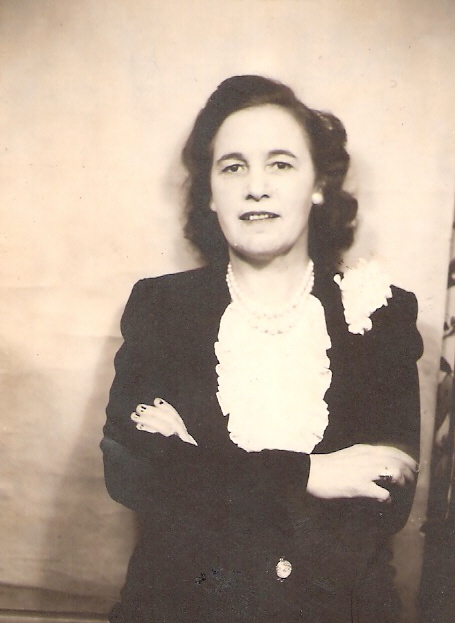 Birth*: Margaret E. Skittletharpe was born on 23 November 1903 at Beaufort Co., NC. Death*: Margaret E. Skittletharpe died on 10 May 1930 at Brooklyn, Henrico Co., VA, at age 26 . Certificate of Death #416 Beaufort Co., N.C; Margaret worked as a cashier at Thalhiemer Bros. She died of Pulmonary Tuberculosis. Informant was Miss. Archa Ormond of Morehead City, N.C.
Burial*: She was buried on 13 May 1930 at Oakdale Cemetery, Washington, Beaufort Co., NC. Birth*: Mary Skittletharpe was born circa 1865 at Beaufort Co., NC. She was the daughter of Joshua Bailey Skittletharpe and Mary Craddock. Death*: Mary Skittletharpe died before 1887 at Beaufort Co., NC. Divorce*: Mary Gertrude Skittletharpe and (?) Newell were divorced. Birth*: Mary Gertrude Skittletharpe was born on 16 February 1897 at Washington, Beaufort Co., NC; The birth certificate for Floyd Don FAulkner states that Mary Gertrude Skittlethorpe had 5 children that were born alive and were still living in Oct 1928, 2 children that were born alive but are now dead, and 1 stillborn. Marriage*: Mary Gertrude Skittletharpe married W.H. Norman on 8 August 1953; date of marriage from Mary's pension application dated 26 Nov 1954. Marriage*: Mary Gertrude Skittletharpe married (?) Newell after 1963. Death*: Mary Gertrude Skittletharpe died on 10 January 1977 at High Point, Guilford Co., NC, at age 79 . Death record from funeral home in Burlington, N.C. shows mother's maiden name as Mary vs Gertrude Skittlethorpe. Burial*: She was buried on 13 January 1977 at Alamance Memorial Cemetery, Burlington, Alamance Co., NC; Mary later returned to Burlington. She is buried in Burlington in a cemetary on the Burlington-Greensboro Hwy 70. She had married a Newell and is buried under that name. Her grave marker reads Gertrude Faulkner Newell, Born in Bath, N.C., 1898 - 1977. [S104] Unknown volume, unknown short title: Beaufort Co., N.C., unknown repository. 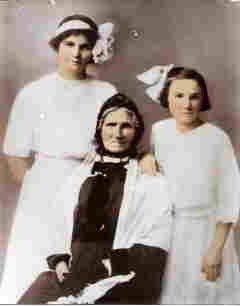 Birth*: Mary U. Skittletharpe was born on 3 August 1889 at Bath, Beaufort Co., NC. Death*: Mary U. Skittletharpe died on 22 August 1889 at Bath, Beaufort Co., NC. She was the daughter of Blake Pinkney Skittletharpe and Mary Elizabeth "Lizzie" Rice. Birth*: Tayloe Newman Skittletharpe was born on 6 October 1938 at Bath, Beaufort Co., NC. He was the son of Dewey Walter Skittletharpe and Ethel Pearl Alligood. Death: Tayloe Newman Skittletharpe died on 22 June 2001 at NewPort News, VA, at age 62 . [S1813] Unknown author, Christina Anes Family Tree. Birth*: Washington Skittletharpe was born in April 1845 at NC. Marriage*: He married Joyce C. (?) circa 1897. [S1970] The Roanoke Beacon, 7 March 1913. Birth*: William Edward Skittletharpe was born on 20 September 1872 at Bath, Beaufort Co., NC. Marriage*: William Edward Skittletharpe married Alice Virginia Hollowell, daughter of Joseph W. Hollowell and Claudia Elizabeth Robinson, after 1923. Death*: William Edward Skittletharpe died on 7 April 1928 at Bath, Beaufort Co., NC, at age 55 . Margaret E. Skittletharpe died 10 May 1930 Brooklyn, NY. Parents were William E. Skittletharpe and Alice Swindell Mary Alice Skittlethorpe died 19 Apr 1923. Parents were D.D. Swindell and Mary Elizabeth Gibbs. Burial*: He was buried on 8 April 1928 at Bayview, Beaufort Co., NC. He was the son of James Demato Skittletharpe and Susan Olivia Woolard. Marriage*: William Thomas Skittletharpe married Cora Annie Lupton, daughter of John Rolling Lupton and Laura Parson, on 24 April 1914 at Bath, Beaufort Co., NC. Marriage*: He married Cora Annie Lupton, daughter of John Rolling Lupton and Laura Parson, on 24 April 1914 at Bath, Beaufort Co., NC. [S658] Unknown author, Beaufort County, NC Cemeteries Book 1, page 35. Birth*: Amelia Skittlethorp was born circa 1841 at NC. Birth*: Aquilla Skittlethorp was born circa 1811 at NC. Marriage*: He married Rosanna Skittlethorp before 1842 at NC. Birth*: Daisy Irene Skittlethorp was born on 6 May 1913 at NC. He was the son of James David Skittlethorp and Shirley Jane McGowan. Birth*: Ellen E. Skittlethorp was born circa 1842 at NC. She was the daughter of Aquilla Skittlethorp and Rosanna Skittlethorp. Birth*: Frances Skittlethorp was born circa 1838 at Bath, Beaufort Co., NC. She was the daughter of Thomas Skittlethorp and Zarah Jones.